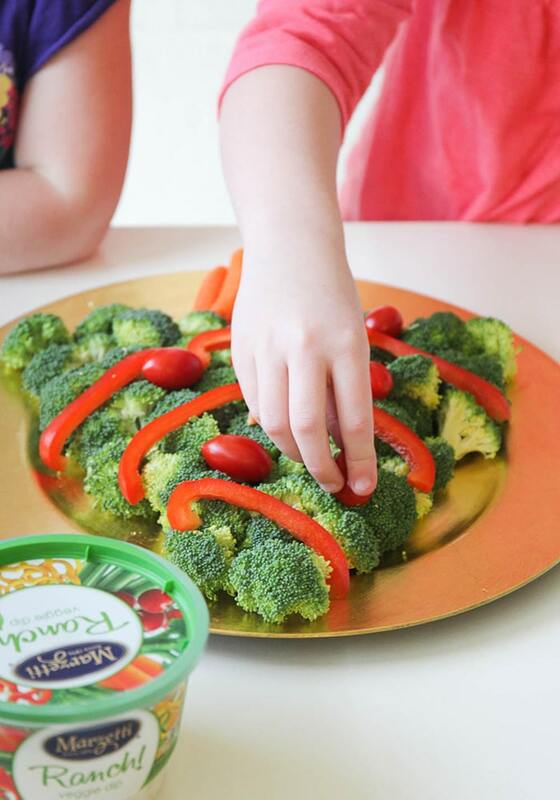 This Christmas Tree Veggie Tray is simple and easy to make, and the kids will love helping you arrange the veggies on the tray to make a fun tree shape. 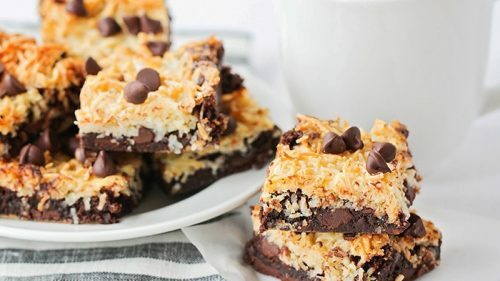 I love all the food around the holiday season, but I have to confess that with all the sweets and baked goods, sometimes I find myself craving something fresh and healthy. 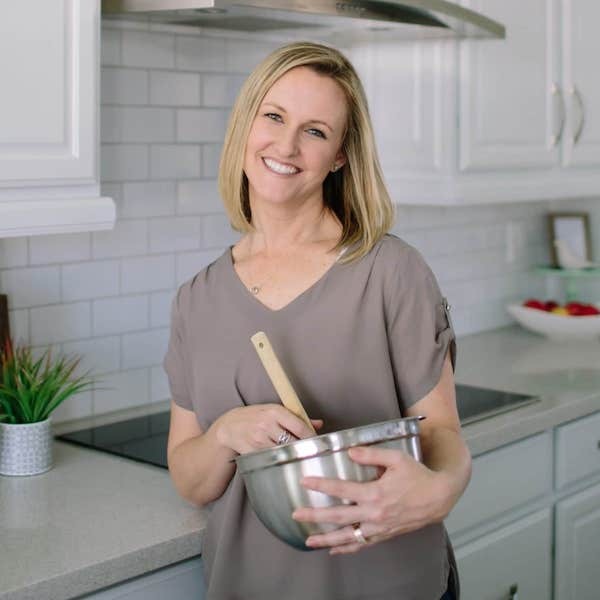 I’m also really concerned about making sure my kids get the vitamins and nutrients they need (along with a few treats here and there), and so I like to find ways to incorporate our favorite healthy foods into our Christmas celebrations. 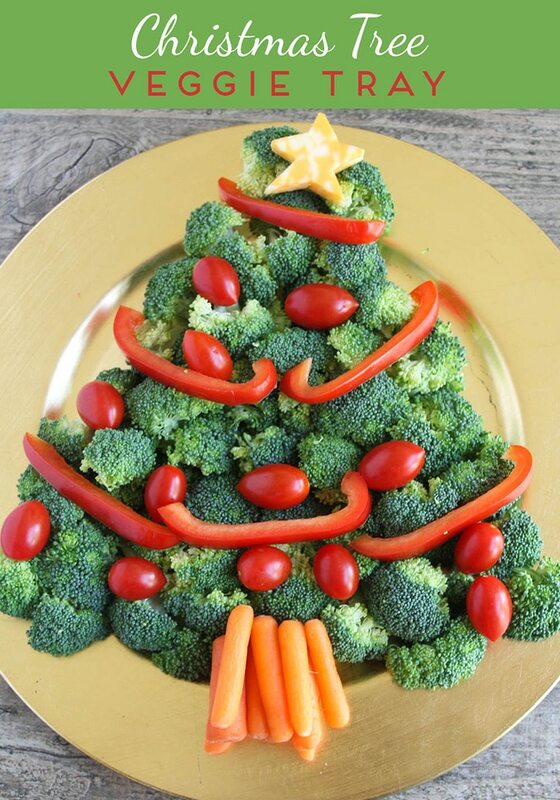 This Christmas tree veggie tray is the perfect way to get your kids excited about eating their vegetables! 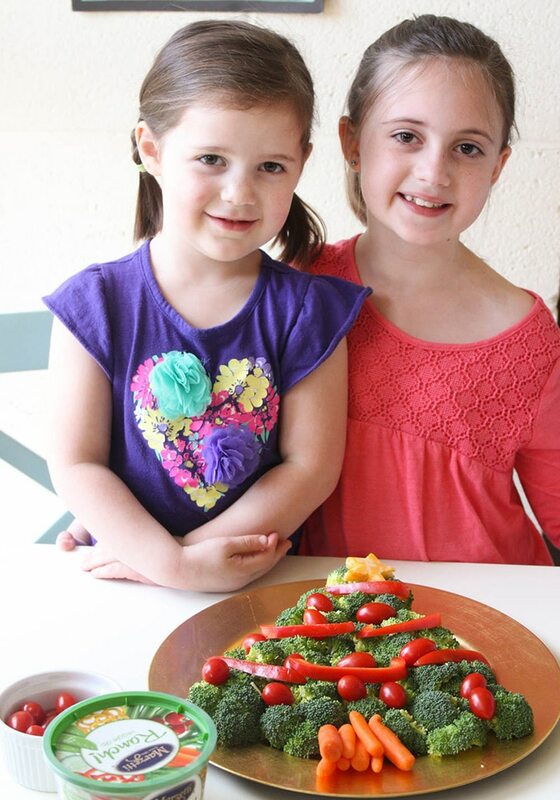 My girls love broccoli (which, I grant, is a little unusual) so they wanted to make our tree base out of broccoli. You could really use any green vegetable, such as green pepper strips, snap peas, celery, sliced cucumbers… whatever you can think of! Once you’ve got your green vegetable tree shape, it’s time to decorate! 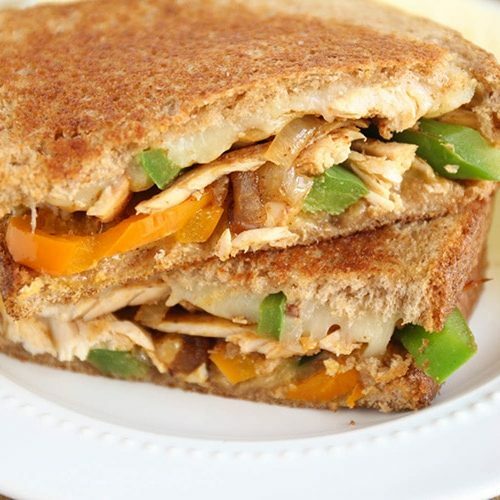 We chose to use red pepper strips and cherry tomatoes, with a stem made of baby carrots and a star made from a little chunk of colby jack cheese. The sky is really the limit here! You could decorate with any colorful vegetables of your choosing, and even cut them into fun shapes using mini cookie cutters. Make it fun and creative! Arrange the broccoli in a triangular shape on a large serving dish. Add the baby carrots at the bottom of the dish to form a trunk. 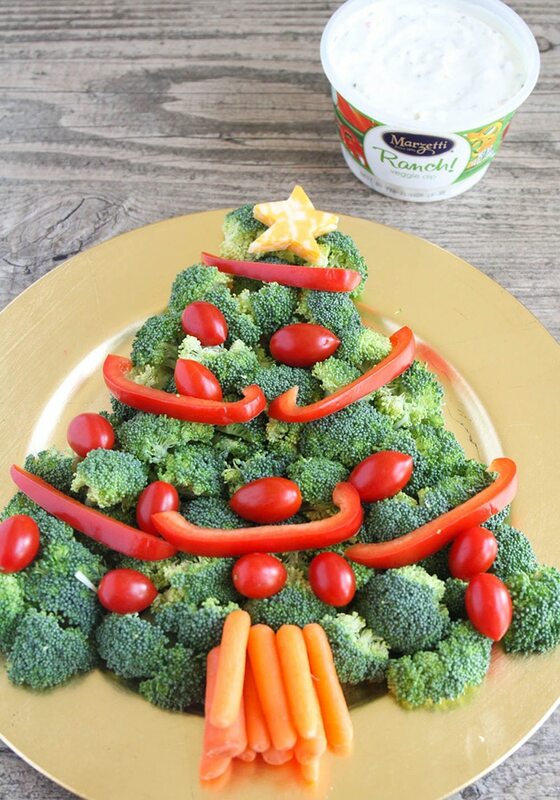 Decorate the broccoli tree with bell pepper strips and tomatoes. 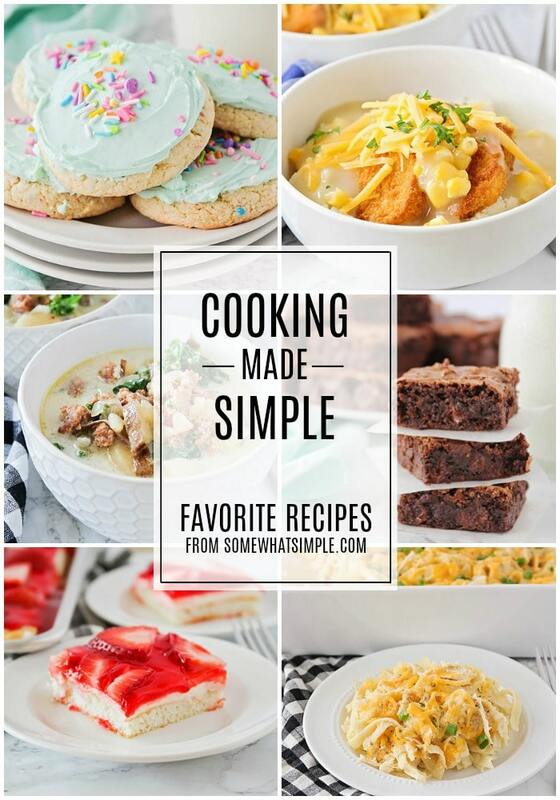 Add the star on top, and enjoy with fresh Marzetti dip. 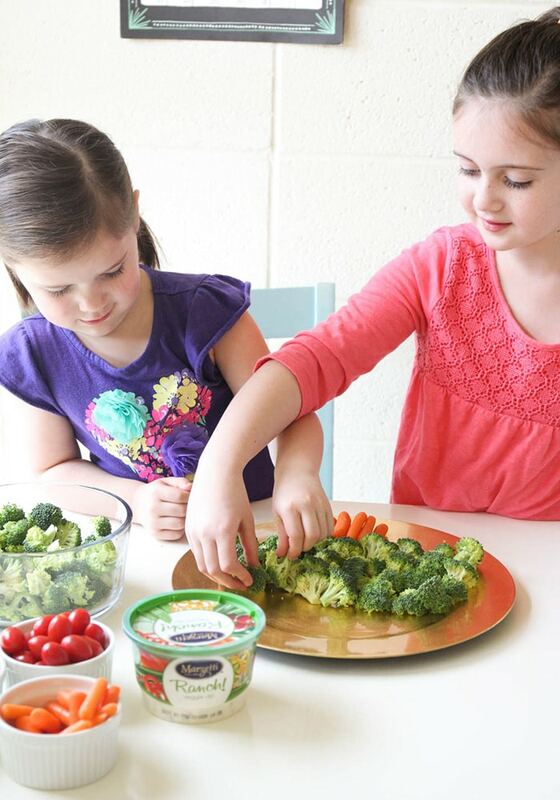 My girls were so proud of their finished product, and couldn’t wait to start snacking on their yummy veggies! 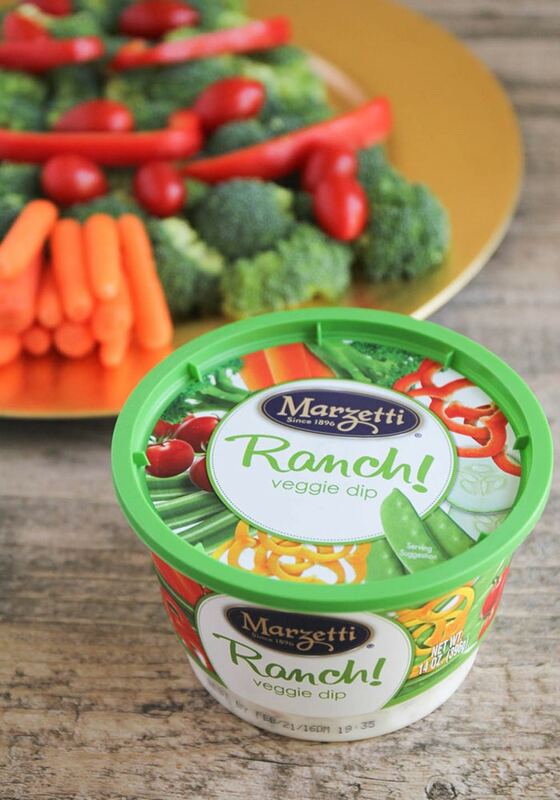 We knew that we needed the perfect dip to serve along with our veggies, so we chose Marzetti Ranch Veggie Dip. 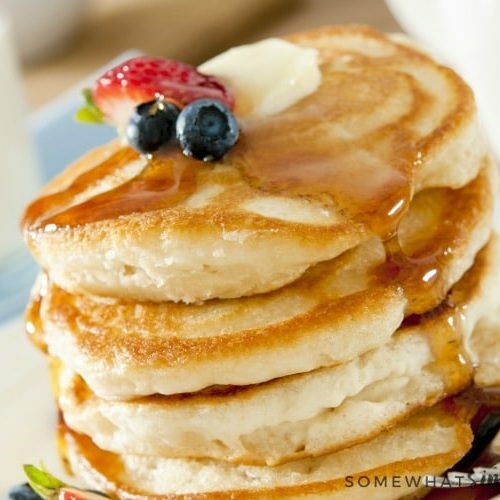 I love how smooth and creamy it is, and the savory blend of flavors enhances the taste of fresh vegetables. 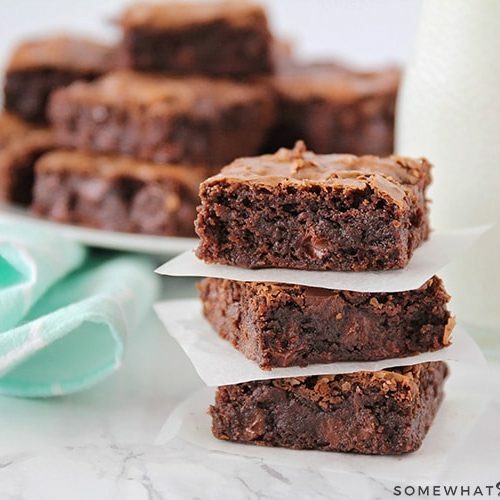 It is thick and rich, and the perfect texture for dipping veggies. 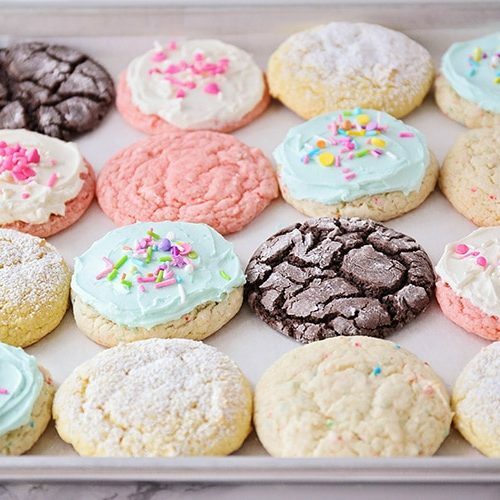 It was a delicious accompaniment to our bright and fun tray! 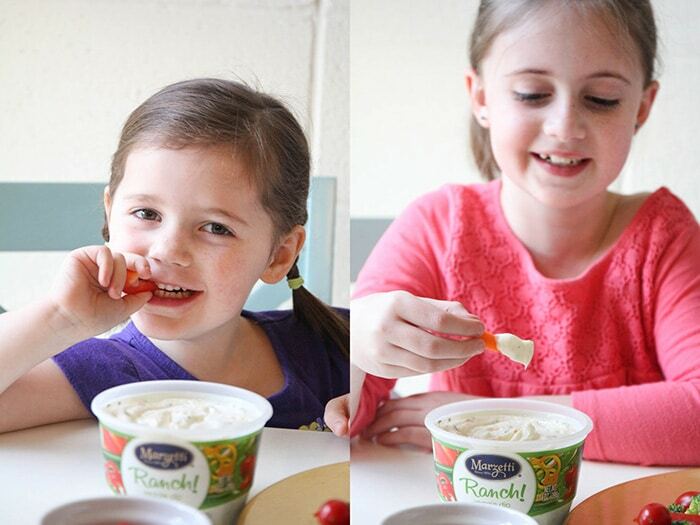 My girls loved dipping their veggies in the Marzetti Ranch dip. Have you ever seen a four year old more excited about a pepper? 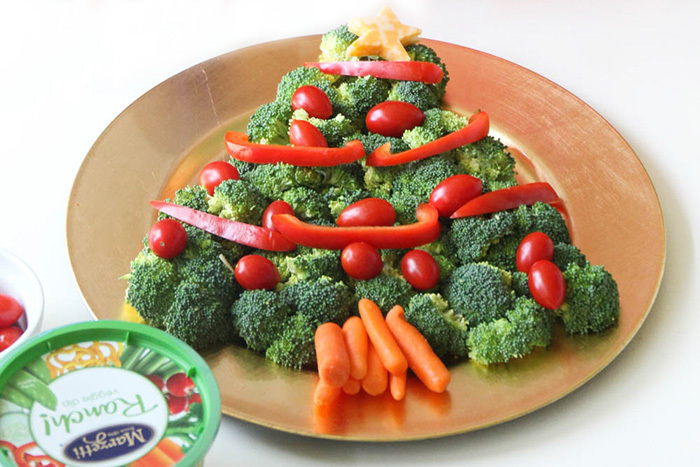 This Christmas tree veggie tray is the perfect healthy recipe for any party or holiday gathering, and is sure to impress! 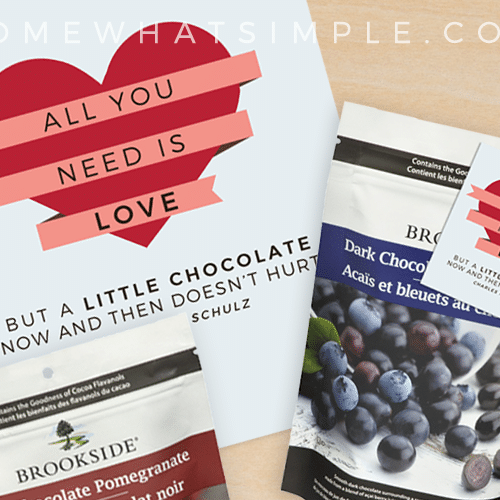 For more information about Marzetti products, visit them on the web at WhatsForDinnercom. 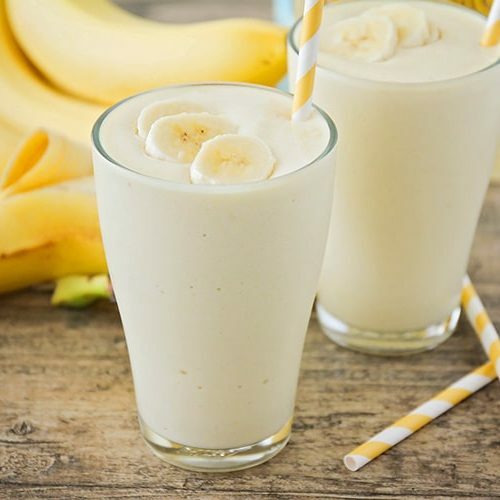 Tropical Banana Smoothie – Refreshing and Delicious!